One of the 12 ideas we gave you as a 100% Finnish Christmas present  was Salmiakki, one of the food quirks of Finland. 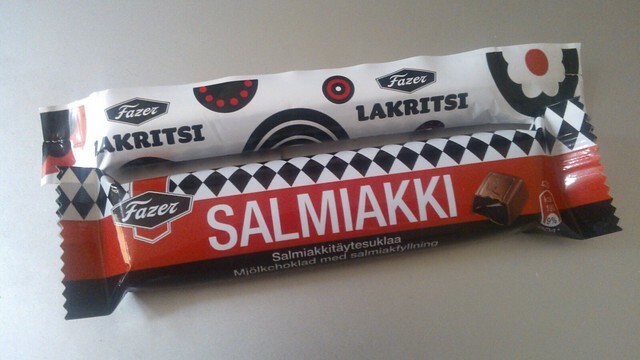 Salmiakki isn’t a candy per se, since it isn’t sweet. This Finnish liquorice is known by different names in the other Nordic and Scandinavian countries , but in those countries I never saw as big a level of devotion to this food as in Finland.